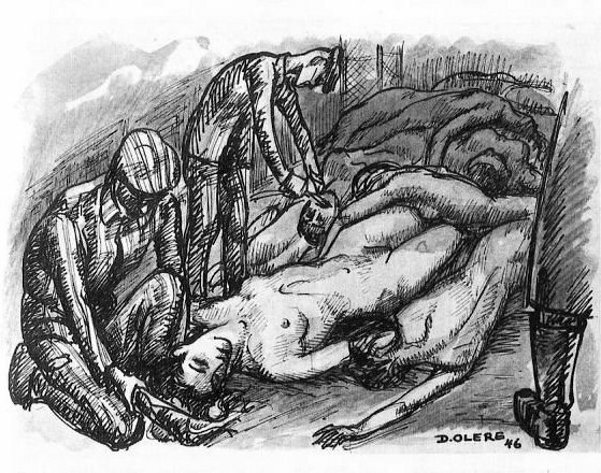 WARNING – As a Jew, David Olère was deported to Auschwitz, where he was forced to work in the gas chambers and crematorium. 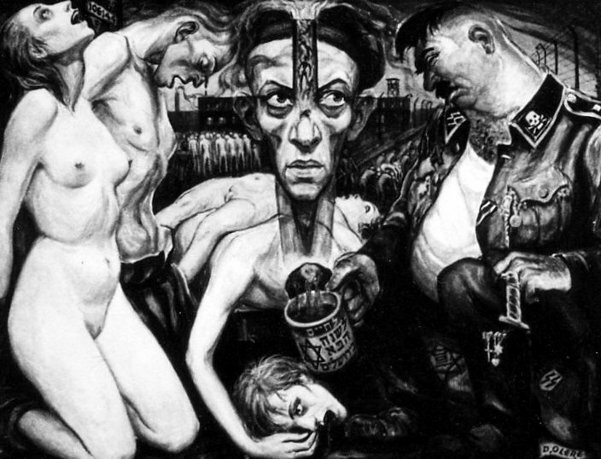 His work, based on personal experience, has exceptional documentary value. 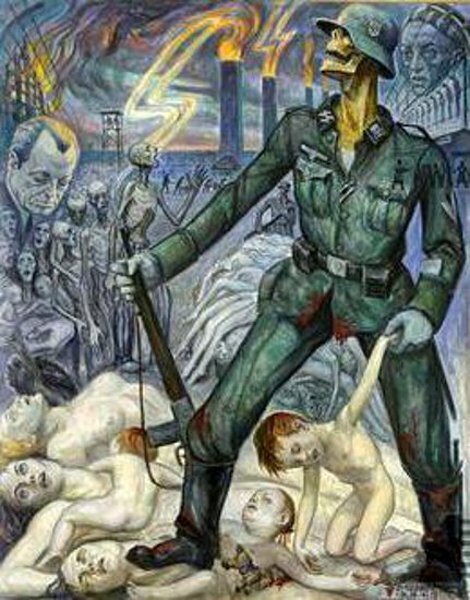 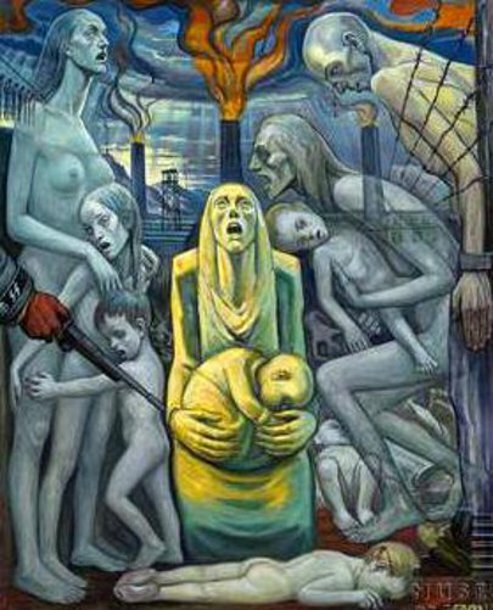 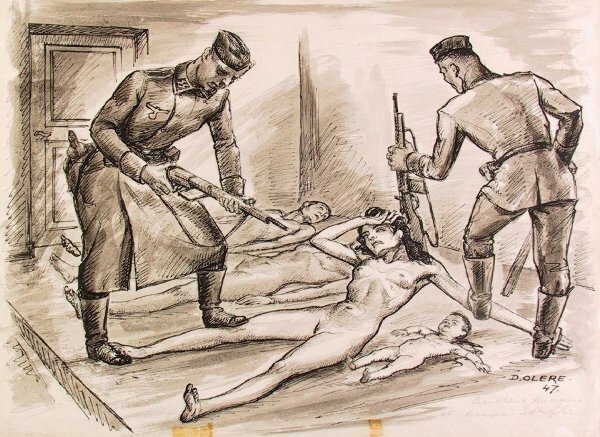 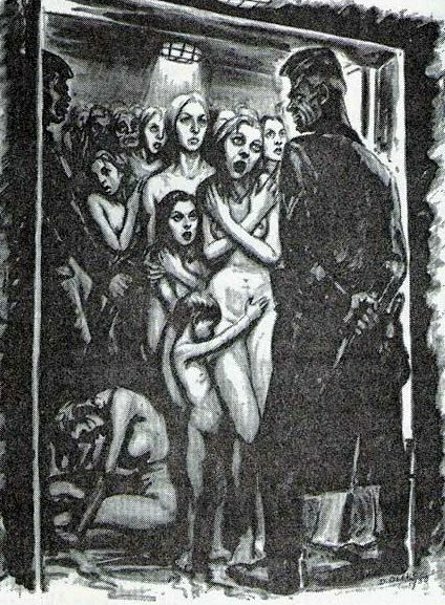 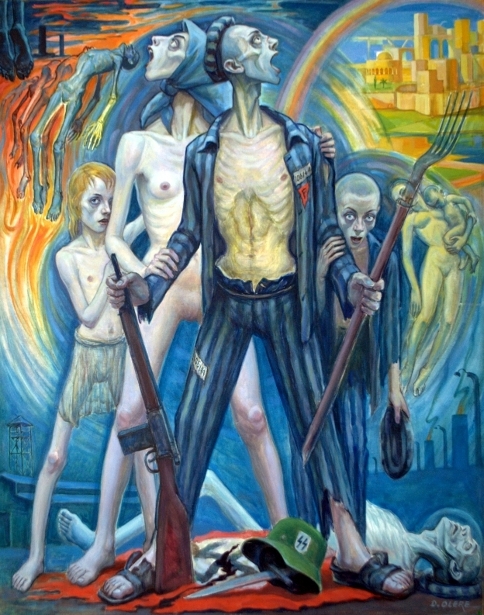 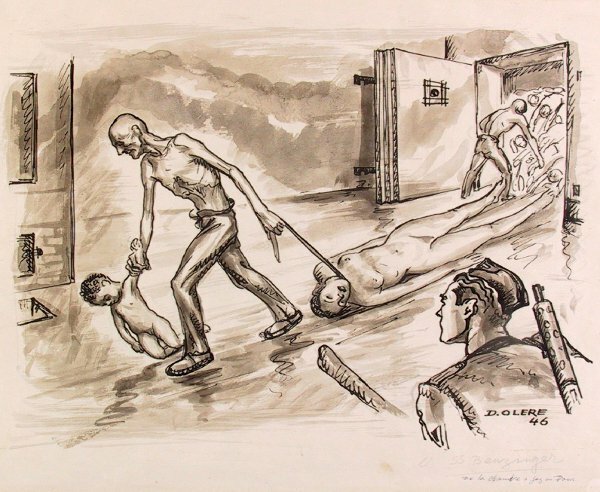 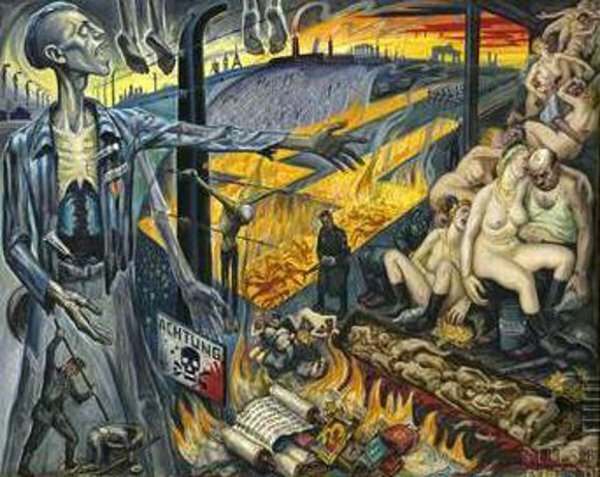 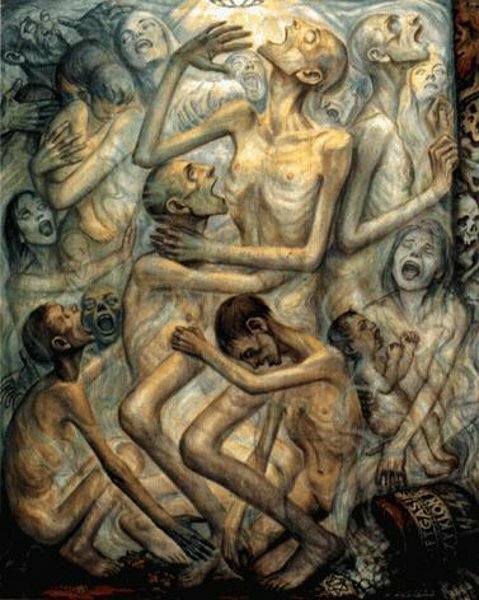 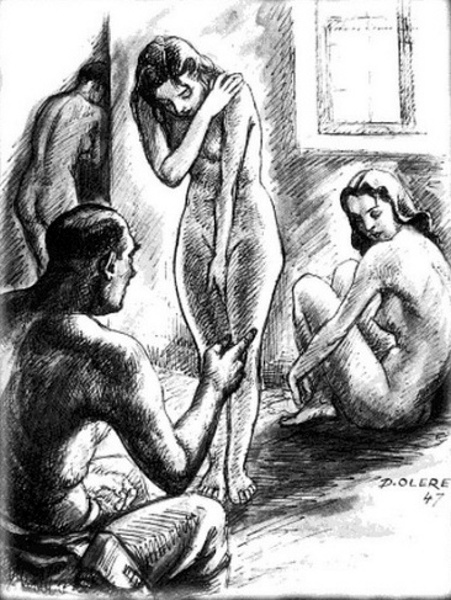 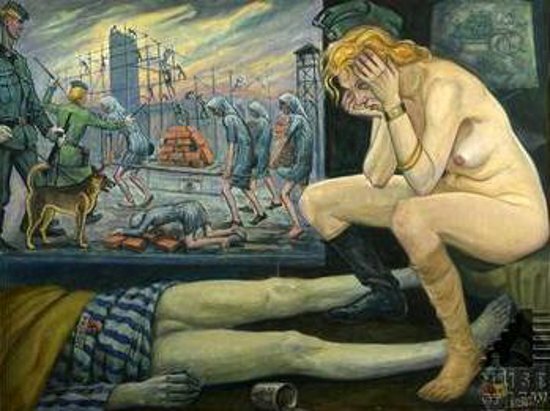 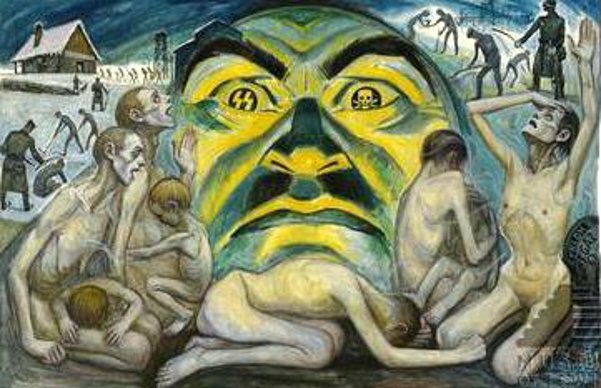 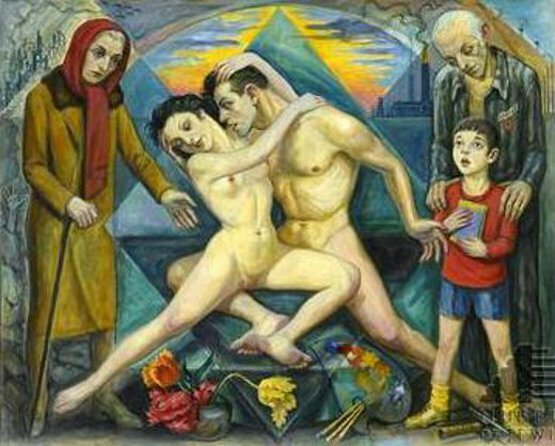 Needless to say that, in their tragic cruelty, his drawings and paintings are highly explicit.